Code Geass is one of the most popular anime shows of all time. 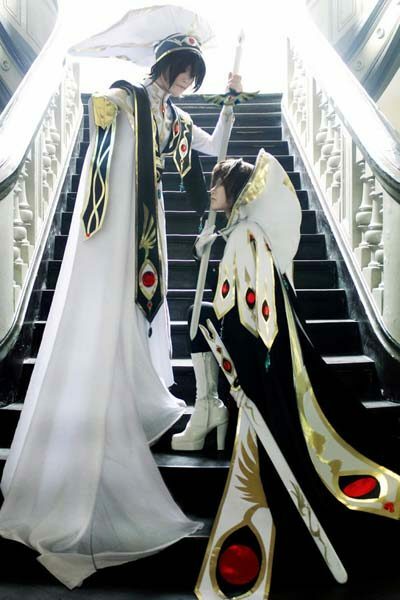 These cosplayers have taken their fandom to all new heights with these stunning Code Geass cosplays. Everything is right about cosplay, and the reflective framing adds to its visual appeal. The seamlessness of the boots as they rise up her body and 3D gold accents make this C.C. 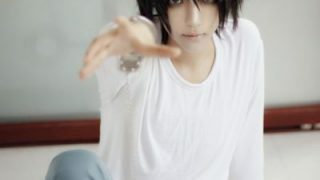 cosplay stunning. Just like C.C. herself, there’s a sexiness to this cosplay. Although the restraints on the straitjacket are apparent, there’s a devilishly sensuous appeal to the pose–especially with the bars that add to the captive nature of the photo. Dark and contemplative, this C.C. 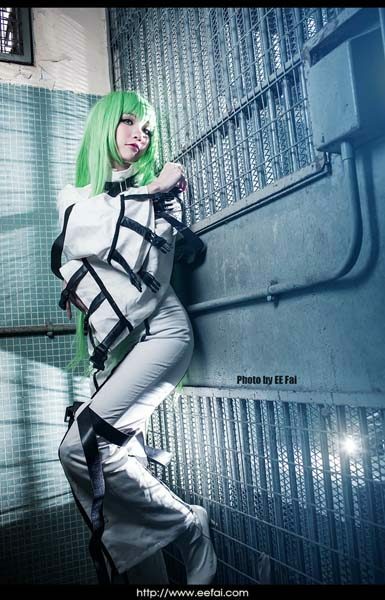 looks like she has been through a lot of rough times–just like the character in Code Geass. This C.C. 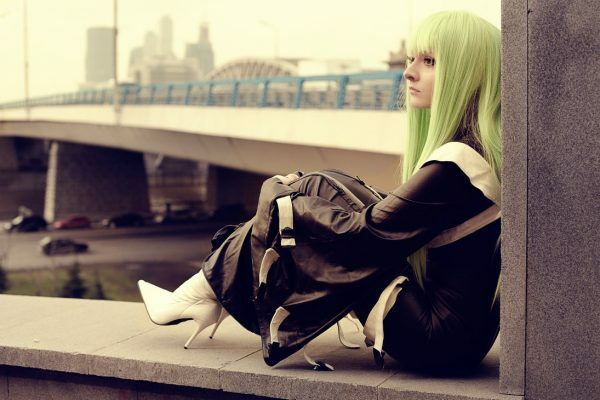 cosplay is adventurously shot, and the lightness of her hair creates a very realistic C.C. look. 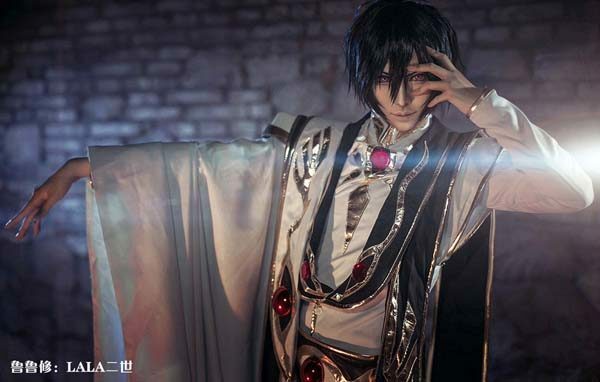 This Lelouch cosplay sports an immensely intricate cosplay design, and the seriousness on his face are accented by highly professional looking makeup to create a unique and hyper-realistic cosplay. Incredible contouring of his facial features and hair alongside a rich costume create a true-to-life Lelouch that almost looks CG. 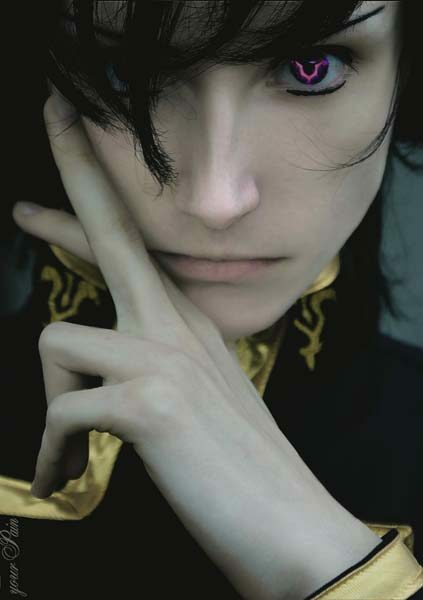 The intense, intelligent expression of this Lelouch plus custom contacts make for a naturally fitting, realistic cosplay. Among the most ornate on this list, the gorgeous costumes really come alive on the staircase that gives to an immensely regal aesthetic to this shot. 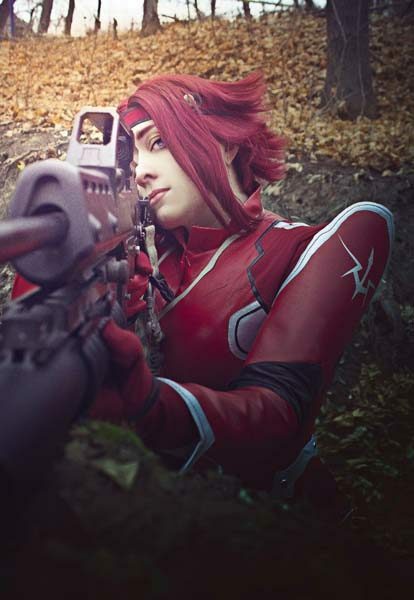 The high-quality material of this costume, perfectly shaped hair, and use of a prop weapon make this Kallen Kozuki cosplay look like it was pulled right off the screen. This cosplay is more than a costume. 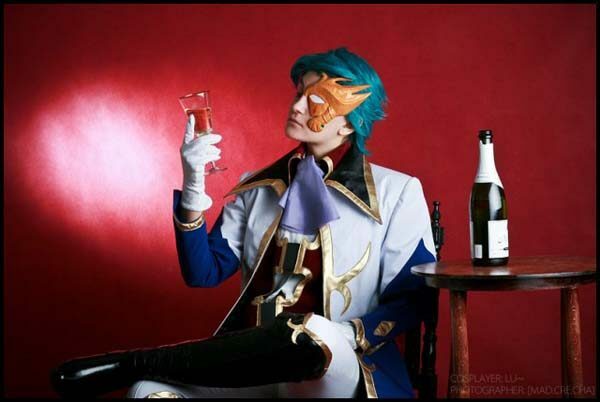 The props and setting bring a ton of character personality to this Jeremiah Gottwald cosplay. The shiny boots and vibrant hair give it perfect finishing touches. The piece covering his eye looks high-quality and potentially custom! Ultra-feminine and soft, this cosplay captures character appeal in her distant look and pose. 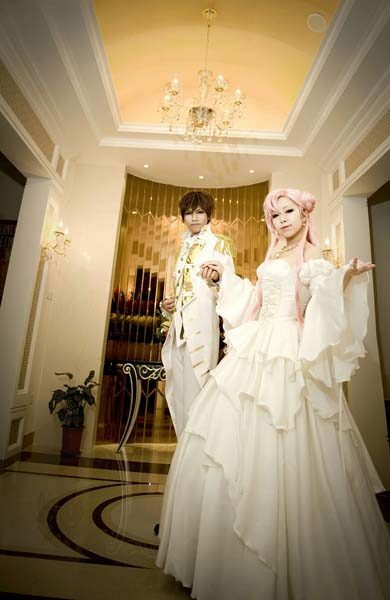 The setting really brings out the pinks in the cosplay, and the flowers give it a perfect, princess touch. 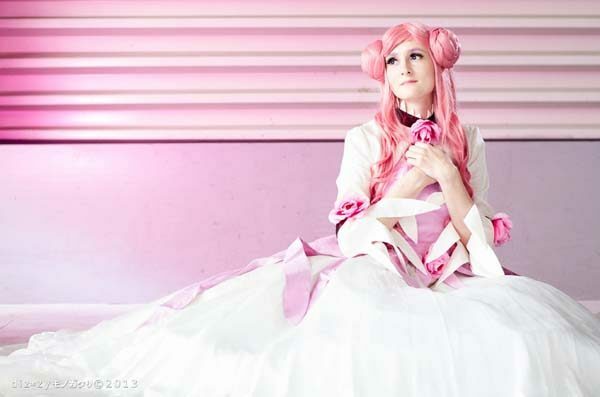 This Euphemia cosplay stands out for its true realism with beautiful fabrics, dusty pink hair, and soft small to capture her character. 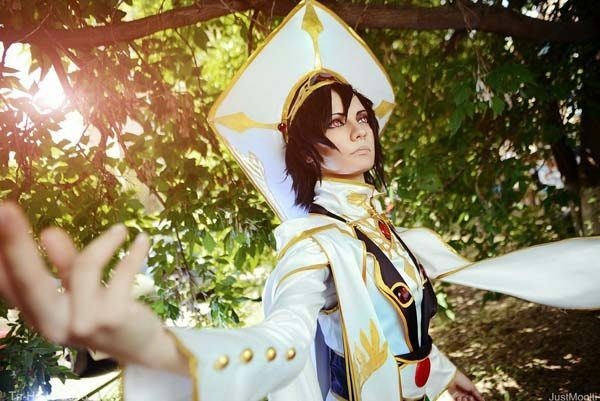 Beautiful and regal, this cosplay has a richness that screams of royalty. Gold accents and powerful postures command attention. 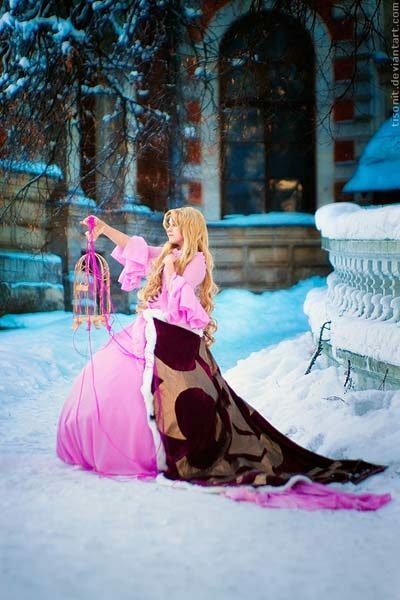 The large, complex costume accent Nunnally’s flowing locks in a way that looks magical on the winter backdrop. Another great use of props! There’s something about this cosplay that just screams, “I’m bad, and I know it.” The empty room and purple reflective floors perfectly complement the purple cosplay. Astoundingly tall boots and the fliar of the fabric make for an unmistakably great Villetta.